The most vibrant and dynamic city of the North is within a stone’s throw of glorious Yorkshire countryside, and won’t disappoint when looking for a Footgolf Break. 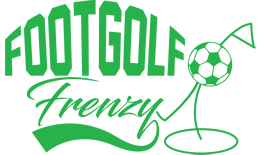 With Leeds Footgolf on the doorstep and many idyllic courses dotted throughout the county, you’ll be spoilt for choice. If you’re looking to enjoy the urban-vibe, Leeds is renowned for its nightlife making it an ideal choice for a trip with friends. Daytime sights can include the impressive Royal Armouries, and shoppers will be delighted with the enormous Harvey Nicholls as well as the unique Kirkgate Market with an eclectic mix of both indoor and outdoor stalls. Sports lovers will find their heart-beating with passion with the home of cricket, Headingly Stadium, being centrally located and worth a trip. Once you’ve exhausted your city-needs, step in the footsteps of the Brontë sisters by exploring Footgolf courses nestled in many glorious Yorkshire spots. An exploration of this fantastic county must include the delightful spot of Hebden Bridge, where you can sit and watch the world go by. Conveniently situated between Leeds and Harrogate and part of Leeds Golf Course. Situated at Calverley Golf Course, this is a wonderful wide-open course, ideal for beginners to Footgolf. If you’re looking for a glorious parkland course for a round of Footgolf, then look no further than the wonderful Willow Valley in Brighouse, Yorkshire, 10 miles from Leeds.